The other day I passed by Fresco Gelateria/Café and was reminded of the last time I was in there with a friend who noticed an interesting gadget on their counter. 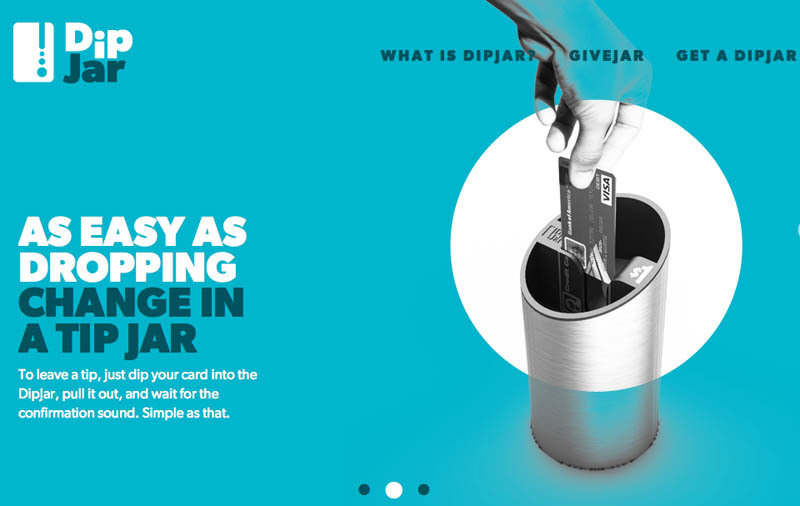 “Meet DipJar—” as the sign reads, “the first ever tip jar for credit and debit cards.” This nicely designed (by industrial designer Simon Enever) stainless cylindrical vessel charges your credit card a dollar tip with one quick swipe or, more precisely, “dip” of your card. 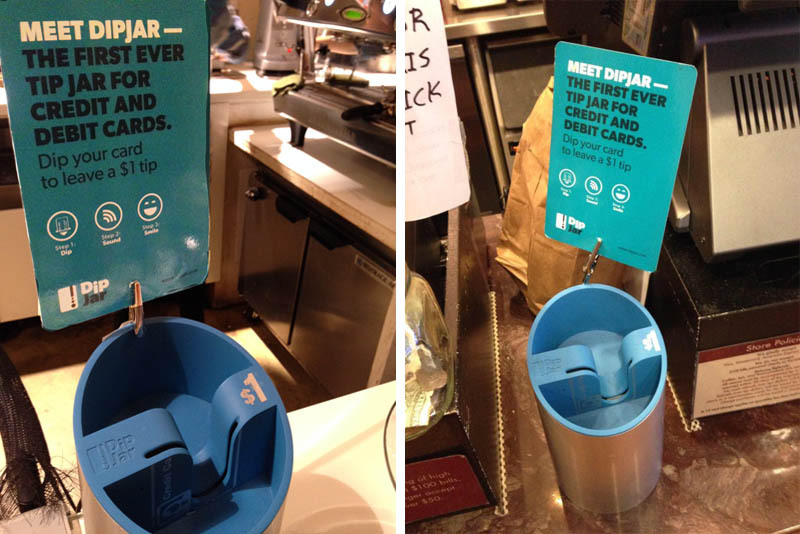 This clever product is the brainchild of Ryder Kessler who, after chatting with several baristas, learned that along with the uptick of credit and debit card use for small purchases came the plummeting of cash jar tips. In a world where printed currency is fast becoming a thing of the past, replaced by credit and bitcoins, this is just another example of smart design following in the footsteps of Square and the less successful waving-of-cell-phones for subway entry. This is good news for industrial designers! Bad news for cheapskates: not having change or singles is no longer a valid excuse to avoid tipping. 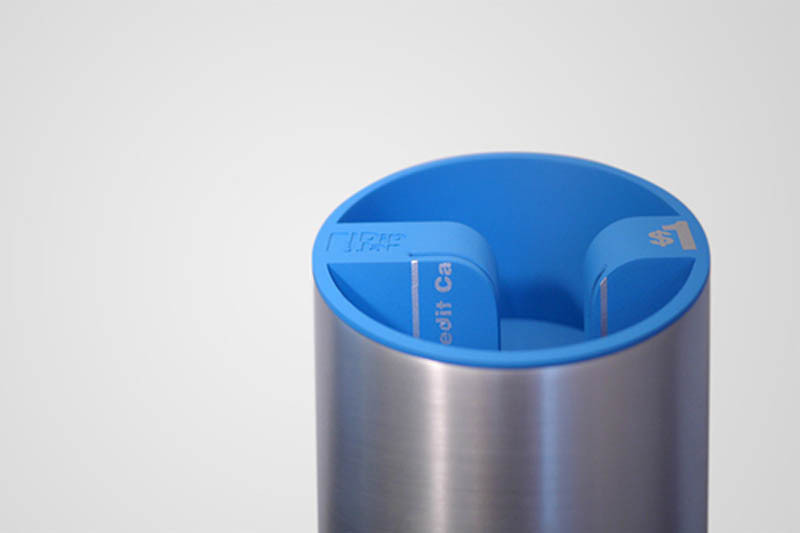 This entry was posted in Food, Industrial Design, Interaction Design, Stuff We Like. Bookmark the permalink.